William Constable was born on 5th April, 1783 in Horley, Surrey, where his father James Constable (1749-1838) owned the local watermill and earned his living milling flour, weaving cloth and selling a variety of goods from his 'general stores' shop. William had very little formal education, apart from a few months at a school in Oxted. Instead of schooling, William's boyhood was spent assisting his father in his various trades. At the age of 14, William left home and went to work as an assistant to Henry Browne, who ran a drapery business in Lewes, Sussex. Mr Browne, described as "an intelligent and informed man" had his own printing press and private chemical laboratory and encouraged William's artistic and scientific interests. In May 1802, the nineteen year old William joined his older brother Daniel in Brighton. Daniel Constable (1775-1835) had just opened a draper's shop at No 3 North Street, Brighton and William became his assistant. Later that year, William designed and produced a "New and Correct Plan of Brighthelmstone" (Brighton), which advertised their business and gave directions to their shop in North Street. The combined map and business card was engraved and printed by Thomas 'Clio' Rickman, a friend and biographer of Tom Paine (1737-1809) the revolutionary republican who had once lived and worked in Lewes. A draper's shop in the early 1800s.The Constable brothers sold their shop in Brighton to James Ireland in 1806. Constable "kept a large black Newfoundland dog which ran about the town with a large eye-glass round its neck in ridicule of a prevailing foppery of the time. On another occasion William, unknown to his brother, set up an electrical machine in the back room, connected by conducting wires with various parts of the shop, and occasionally amused himself by giving an unexpected shock to a customer as she opened the door or took up a chair . . ." "We have frequently heard Mr Constable say it was nothing unusual for them to close their shop and put up a notice - "Gone for a holiday. Back next week." After four years, the Constable brothers sold their flourishing drapery business (later to evolve into Hanningtons of North Street, which became one of Brighton's largest department stores) and used the proceeds to finance a journey to America. In 1806, William and Daniel Constable sailed for New York. After a two month voyage, the brothers arrived in New York, where, armed with an introduction from 'Clio' Rickman, they paid a visit to the exiled revolutionary Thomas Paine. During their stay in America, the Constable brothers travelled over 7,000 miles. First they travelled by foot through the State of New York to Niagara Falls. At Niagara, William made a number of sketches of the Falls. Throughout the journey, William Constable made drawings of the spectacular American landscape. These sketches were later worked up into finished watercolours and exhibited in England. William and Daniel moved on from New York State to Pennsylvania. In Pittsburg, they purchased a flat-bottomed boat, in which they planned to voyage south to the Gulf of Mexico. In their flat-bottomed boat, the Constable brothers made their way down the Ohio and Mississippi Rivers to New Orleans. The two brothers stopped off at Big Beaver Creek, where William assisted a group of settlers by surveying and laying out the site of a new town.William Constable gave the town the name of 'New Brighton' in tribute to the seaside town in Sussex, which had recently been their home. A 19th century print showing a flat-bottomed sailing boat on the Mississippi River. After an eventful 3,000 mile river journey the two brothers arrived in New Orleans. Travelling by foot and on donkey, the two brothers crossed the Allegheny Mountains and returned overland to New York, from where they eventually sailed to England. William and Daniel returned to England after spending two years in the New World. After arriving at Plymouth, the two brothers walked all the way to their family home in Horley. William Constable had brought back to England, the sketches he had made of the American landscape. The Brighton Herald reported that some years later Constable used these sketches to make finished watercolours of the "striking features of the New World." The Herald recognised the historical interest of these paintings, noting that "many places now seats of a numerous and thriving population, having been a beautiful wilderness when visited by the two brothers." In America, William had also obtained a tooth of a prehistoric mastodon, which he presented to Gideon Mantell of Lewes. Mantell, who later made his reputation as a geologist, claimed that Constable's fossil inspired his "first impulse to scientific enquiry." While working at Horley Mill, William Constable was involved in a tragic boating accident. In November 1811, Constable took Volney Rickman, the 14 year-old son of 'Clio' Rickman, out on a sailing boat on the River Mole, The boat capsized and Constable was not able to save the lad from drowning. In the words of one report, Constable "held the boy above water for some time, but had to let him go before reaching the bank." In 1816, William Constable married Jemima Mott, the 30 year-old niece of Robert Mott of Brighton. After 13 years of marriage, Jemima died, leaving William a childless widower. At the time of his marriage, William Constable was Superintendent of the Sutton and Reigate Turnpike Trust and in 1818 he was appointed "Surveyor to the Turnpike Trustees of the London to Brighton Roads." In his role of Surveyor, Constable was responsible for a 30 mile stretch of road, the construction of the tunnel under Reigate Castle and the design and building of the suspension bridge at Reigate Hill. Built in 1823 under Constable's supervision, the Reigate Castle Tunnel is believed to be Europe's first road tunnel. The Reigate Hill Suspension Bridge, although small, was of a novel design. A local newspaper reported "It is a very light and fairy-like structure, and the first chain was pulled across by the fair hands of four and twenty young ladies, to each of whom Mr Constable presented a pair of white kid gloves for the occasion." Living at Dovers Green near Reigate, Surrey, William Constable held the post of 'Surveyor of the London and Brighton Turnpike Road' for twenty years. .William Constable constructed the road tunnel under the grounds of Reigate Castle in 1823. In 1837, William Constable was appointed engineer for a proposed railway in Jamaica. Constable sailed again for North America, intending to travel down through the States to New Orleans where he proposed to take a ship to the West Indian island. While he was in America Constable was informed that the Jamaican Railway project had collapsed, but he chose to remain in America for one year "to see the beauty of that Country." William Constable had established family connections with North America. William's brother Daniel had returned to the States in 1820 and in 1830 he had applied for American citizenship. Daniel Constable eventually settled in New York State, but had died on a visit to England in 1835, two years before William's second trip to America. William's sister Mildred had emigrated to North America with her husband,John Purse, in 1819. They had settled in Indiana, but they found frontier life difficult and had relocated to Pittsford, New York by the time William arrived. On his return to England in 1839, William decided once more to make his home in Brighton. It had been many years since Constable had last lived in Brighton, but his name and exploits had not been forgotten by the inhabitants of this seaside town. As the Brighton Herald commented, Mr Constable "renewed his connection with Brighton . . though he had long been known to us as a half mythological personage of a remote period of our lives." 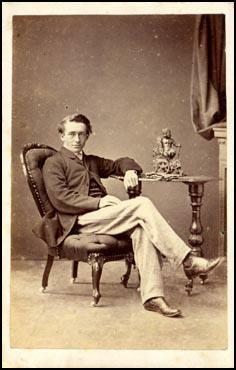 As a young man, William Constable proved to be a flamboyant showman. In his history of the seaside town, 'Life in Brighton', Clifford Musgrave recounts an episode that took place in the Pleasure Gardens, which were then situated near the Level, where Constable promised he would fly the length of the grounds. A childless widower, William Constable established a residence at 16 Egremont Place, Brighton where he lived with two unmarried nieces, Caroline and Eliza Constable and a single house servant. 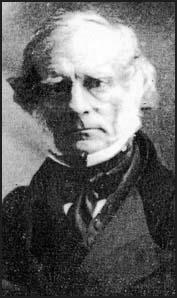 William Constable had been an inventor throughtout his life and in 1840 he made a third visit to America to promote various scientific devices, including a pulley and wire mechanism designed to rescue people from burning buildings and wrecked sailing vessels. It is possible that on his third and final visit to America, William Constable had the opportunity to observe the work of early American daguerreotypists and see the commercial potential of portrait photography. According to a contemporary newspaper, " Mr Constable ...was always ready to entertain beautiful applications of scientific principles" and was fascinated with the new invention of photography " then called Daguerreotype." When William Constable returned to Brighton after his last visit to America, he entered into negotiations with Richard Beard, who was about to receive the patent rights to the daguerreotype process in England. By June 1841, Beard had sold the licence to take daguerreotype portraits in Brighton to William Constable for the considerable sum of one thousand pounds. 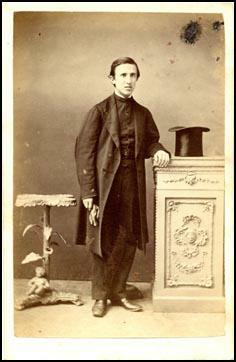 William Constable opened Brighton's first photographic portrait studio in 57 Marine Parade on 8th November 1841. Named "The Photographic Institution", Constable's studio was situated on the seafront, where Atlingworth Street joins Marine Parade. The room where Constable took his photographic portraits had a glazed roof and was fronted by plate glass. The proprietor of the Photographic Institution claimed that the glass he employed in his south-facing studio, broke up the prismatic rays of light "admitting only the blue tint". Inside the operating studio, which he named "The Blue Room", Constable set up a revolving platform on to which he placed his subjects. With the aid of this apparatus, Constable was able to turn his sitters to get the required light effects for his portraits. Armed with an exclusive daguerreotype licence from Beard, Constable enjoyed a monopoly in the production of photographic portraits in Brighton for ten years. Made famous by making the first photographic likeness of Prince Albert, Queen Victoria's consort, in March 1842, The Photographic Institution of Brighton became the fashionable place for aristocrats and members of the Court to have their portraits taken. Looking back over the first six years of his photographic portrait business, Constable wrote in 1848 that he "had many sitters from the ranks that are called noble" and went on to mention that he had made portraits of Viscount Jocelyn, the Duke of Montrose, the Marquess of Abercorn and the Duke of Devonshire, together with their wives. It must have been strange for Constable, the son of a "country shopkeeper" and a man without a formal education. to find himself playing host to members of the Royal Family and leading figures of the British aristocracy. However, Constable's keen intelligence and attractive personality apparently compensated for any perceived lack of education and breeding.More than one account refers to Constable's considerable personal charm. A contemporary report states that Constable was "most attractive and agreeable in manner" and that his "amiable disposition made him a favourite with everybody. "The Brighton Herald newspaper mentions that many of Constable's distinguished clients "were so charmed with the man, that more than once they called in at his 'blue room' merely for the pleasure of his society". 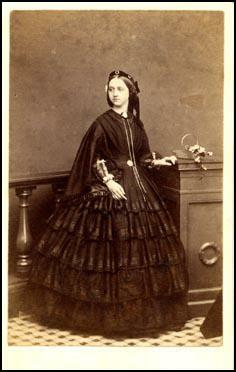 William Constable worked as a photographic artist in Brighton for twenty years. 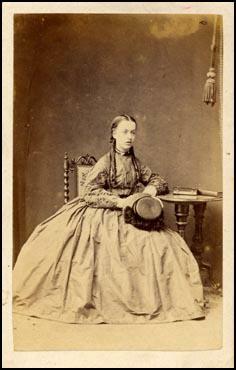 After his death, one of William's nieces, either Caroline or Eliza Constable, carried on taking photographic portraits at his studio at 58 King's Road. Constable's photographic studio was listed in a Brighton Directory for the last time in 1865. Although he had spent only a few months at school, William Constable had a natural intelligence and an inventive mind. In the words of the Brighton Herald "his active intellect soon mastered all that came before him." Early in his adult life, William Constable demonstrated his self-acquired skills as a cartographer, surveyor, engineer and draughtsman. As Surveyor of the London and Brighton Turnpike Road, Constable supervised the construction of Europe's first road tunnel and designed a suspension bridge, which according to a local newspaper "was amongst the earliest structures of the kind in this country". Constable was also the originator of a method of hypsometrical drawing which had applications to the work of surveyors and engineers. William Constable was very much a self-educated man and although he had a limited formal education, he was an avid reader and had a considerable collection of books in his library "on subjects most suited to his tastes". Throughout his life Constable had a wide range of interests. An amateur botanist and ornithologist, Constable was also an active member of the Natural History Society since its inception in 1855. On his visits to America, Constable was always on the look out for interesting fossils and rock samples. On his last trip to the New World, Constable carried a specimen of chalk "500 miles in his hand, fearing it might be broken" on the journey home. Constable took a full and active part in the social and cultural life of the town. He was a committee member of the Literary and Scientific Institution and regularly displayed his photographs at 'Soirees' held at the Pavilion Rooms in the 1850s. Constable also exhibited examples of his work at the Brighton Art Society's 'Conversaziones' towards the end of his life. William Constable died at his home in Egremont Place,Brighton on the morning of Sunday 22nd December 1861, at the age of 78. A tribute to William Constable, printed in the " Brighton Herald " soon after his death,described him as a "remarkable" and "excellent man" and concluded that " his memory will be ...cherished with affectionate regard by all who knew him." William Constable was buried in St Bartholomew's churchyard at Horley, next to the remains of his wife, Jemima, who had died 32 years previously. 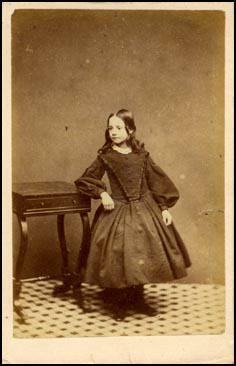 [ABOVE] Carte de visite portraits taken at Constable's photographic studio at 58, King's Road, Brighton after the death of William Constable in 1861. ABOVE] Carte de visite portrait taken at Constable's photographic studio at 58, King's Road, Brighton .